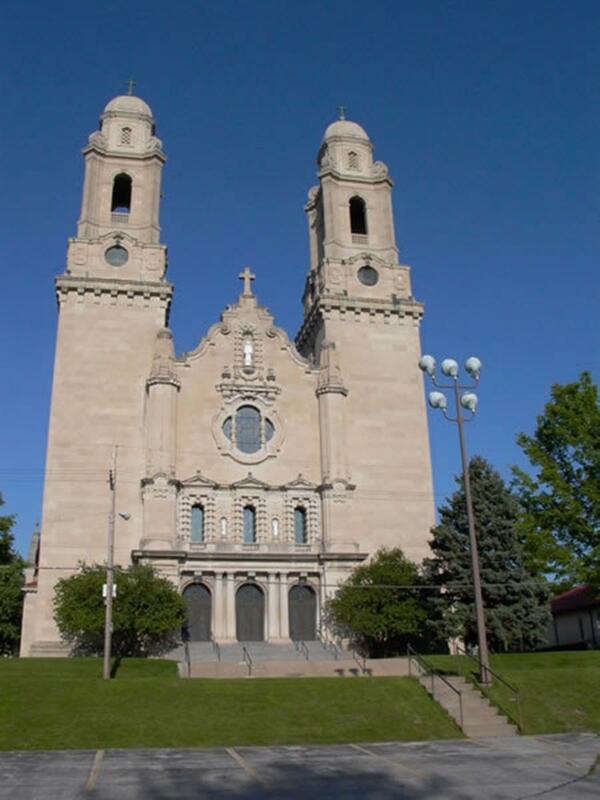 St. Cecilia’s Cathedral, open daily, is the seat of the Roman Catholic Archdiocese of Omaha. An Omaha landmark and listed on the National Register of Historic Places, the cathedral was begun in 1905 under the architect Thomas Rogers Kimball. St. Cecilia’s displays a Spanish Renaissance Revival architectural style instead of the more common European Gothic style because Kimball wished to incorporate the early Spanish and Mexican influence on the region into his design. The cathedral, consecrated in 1959, also contains the Our Lady of Nebraska Chapel and Cathedral Cultural Center. Open Tuesday through Friday, the center includes an art gallery and museum that display exhibits on the history of the diocese, Kimball and Omaha’s Western frontier history. 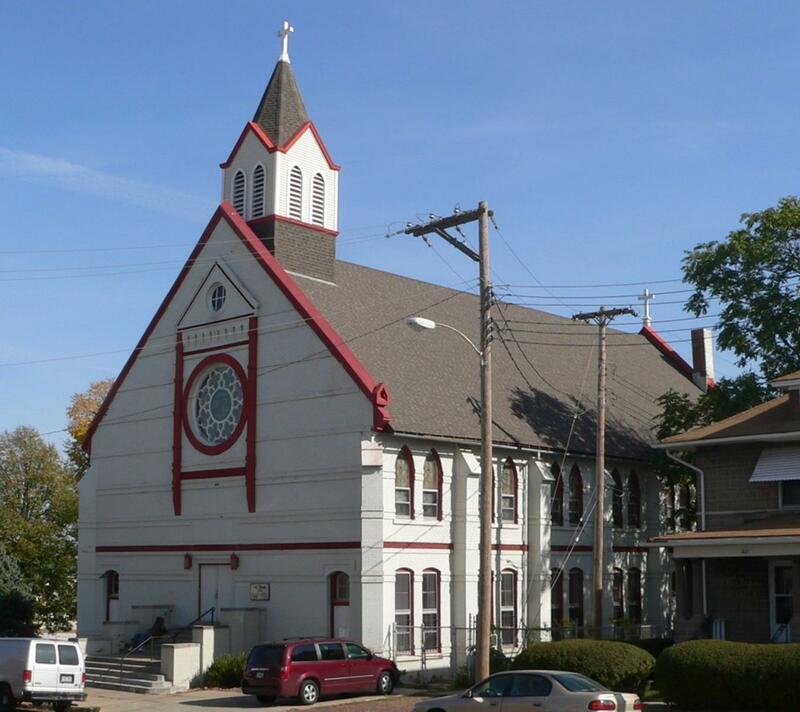 Omaha’s oldest Catholic church is Holy Family. Built in 1883, the church was designated an Omaha landmark in 1985 and added to the National Register of Historic Places in 1986. Designed in both the Gothic Revival and Romanesque Revival styles, Holy Family Catholic Church is the city’s oldest brick church structure. Many other historical churches and religious sites can be found in Omaha. St. John African Methodist Episcopal Church, organized in 1867, was the first church open to African-Americans in Nebraska. Trinity Cathedral, Nebraska’s first Episcopal parish and cathedral, was organized in 1856 and is considered one of Omaha’s most stunning churches. Ward also noted St. John the Baptist Greek Orthodox Church, a historic Byzantine church with a golden dome, as a church to visit. Other landmark churches are Dietz Memorial United Methodist Church, St. John’s Collegiate Church on Creighton University’s Campus and St. Martin of Tours Episcopal Church. One interesting religious attraction is the Mormon Trail Center and Pioneer Cemetery. Mormon pioneers stayed here as they traveled to the Rocky Mountains, and the visitor’s center contains exhibits of a log cabin, a covered wagon and other pioneer artifacts. 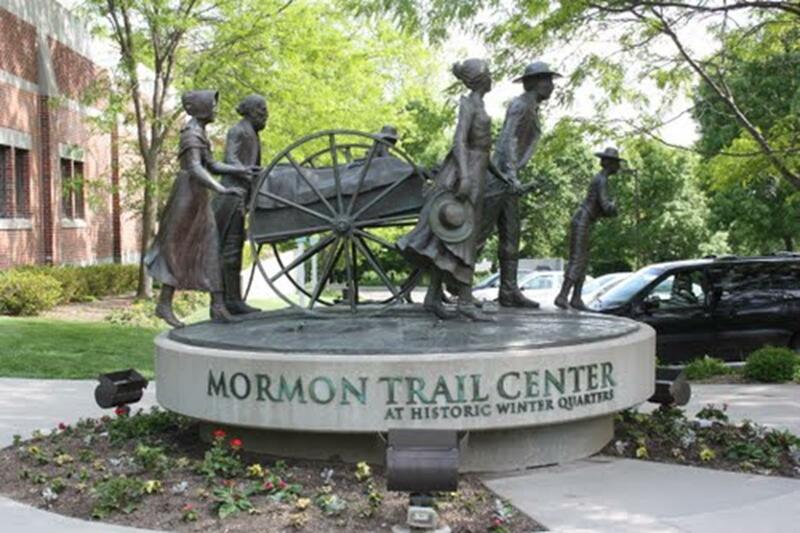 The center also offers a guided tour and video portraying the Mormon Migration of 1846-90. The Mormon Temple and the Winter Quarters Cemetery are located across the street. Groups visiting Omaha will want to learn about Omaha’s pioneer history by exploring the Lewis and Clark National Historic Trail Headquarters and Visitor Center. Travelers can view exhibits about Lewis and Clark, their journey and significant sites along the trail. Another site committed to preserving Omaha’s pioneer history on the Western frontier is the Durham Museum. Housed in Omaha’s historic Union Station, the museum contains permanent and temporary exhibits dedicated to Omaha’s Western history. Exhibits include restored train cars, a functioning 1931 soda fountain and storefronts from the 1940s. The Henry Doorly Zoo is home to the Lied Jungle, America’s largest indoor rainforest; Desert Dome, the world’s largest indoor desert; and Scott Aquarium. Another must-see is the Omaha Children’s Museum, which is nationally ranked in the top 15 percent of children’s museums. The Joslyn Art Museum, Nebraska’s prominent fine arts museum, specializes in 19th and 20th century American and European art and is a great place for religious groups to visit. 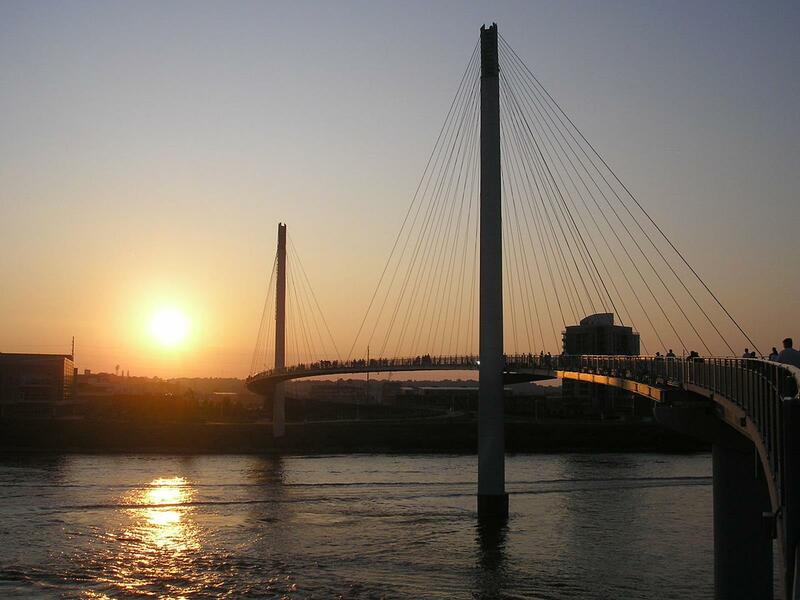 A unique Omaha landmark is the Bob Kerrey Pedestrian Bridge. Named in honor of former U.S. Senator Bob Kerrey, the 3,000-foot cable bridge breaches the Missouri River, connecting Omaha and Council Bluffs, Iowa. This bridge, one of the longest pedestrian bridges ever constructed, features programmable lights that display multiple colors and alternate in brightness and timing. Popular events include the St. Patrick’s Day Parade, Cinco de Mayo Parade, Santa Lucia Festival (May), Taste of Omaha (June), 4th of July Fireworks Celebration, Omaha Riverfront Jazz and Blues Festival (July), Greek Festival (August), Oktoberfest (September) and Holiday Lights Festival (November and December). An exciting religious event that takes place at St. Cecilia’s Cathedral every December is Christmas at the Cathedral. At this event the Omaha Symphony and Symphonic Chorus perform carols and other holiday works to begin the Christmas season. Omaha’s cultural environment makes it a great destination for religious group travel. The churches and religious sites are numerous and there are many other attractions to visit while spending time here. (Omaha’s) local religious support is strong and diverse, which makes it an appealing destination for a lot of different faith-based groups. – Deborah Ward, director of marketing and public relations of the Omaha Convention and Visitors Bureau.